Do you feel greasy after a bowl of Sarawak Laksa? Do you need something to quench your thirst after shopping? Are you looking for some weight reduction aids? Is your family concerned about your hypertension? Well, let’s try some home made “Ribena” or ROSELLA TEA. Hibiscus tea is a tisane or “herbal tea” consumed both hot and cold by people around the world. 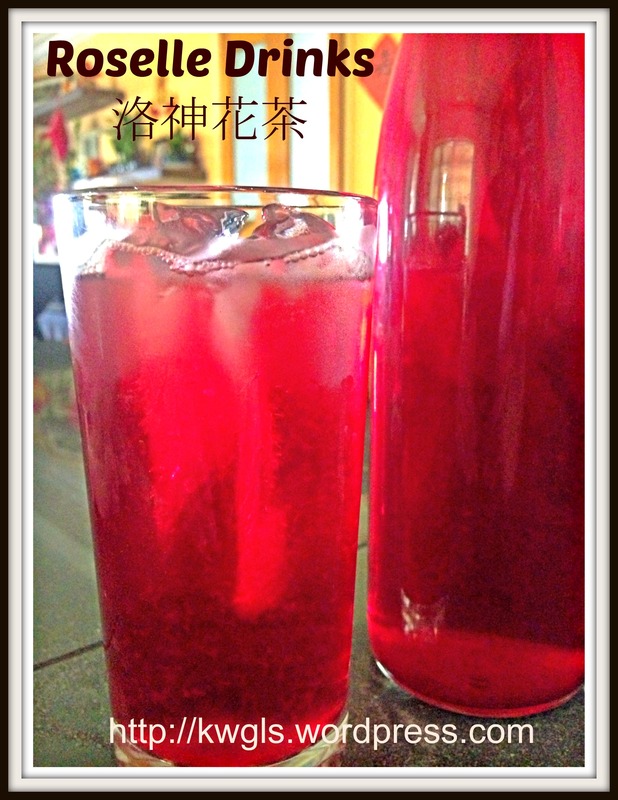 The drink is an infusion made from crimson or deep magenta-colored calyces (sepals) of the Hibiscus sabdariffa flower. It is also referred to as roselle (another common name for the hibiscus flower) or rosella (Australian), …… red sorrel in the wider Caribbean, ………known as simply Jamaica. Hibiscus tea has a tart, cranberry-like flavor, and sugar is often added to sweeten the beverage. The tea contains vitamin C and minerals and is used traditionally as a mild medicine. In West Sudan a white hibiscus flower is favored for its bitter taste and is not for sale, but for the use of the owners family and their guests. Hibiscus tea contains 15-30% organic acids, including citric acid, malic acid, and tartaric acid. It also contains acidic polysaccharides and flavonoid glycosides, such as cyanidin and delphinine, that give it its characteristic deep red color. Note: From this point onwards, I will use “Rosella Tea” or “Roselle Tea” interchangeably. For my readers who are Chinese speaking, I have specifically included this excerpt. Note that the Chinese and English versions are not the same as they are from the different source. I remembered ever drank this tea in East Malaysia in my teenage years but not that popular and in fact we called it home cooked “Ribena” as the color resembles the black currant juice. As I was doing my marketing two days in a wet market in Geylang East, Singapore, I was surprised to find some fresh rosella in the vegetable section. 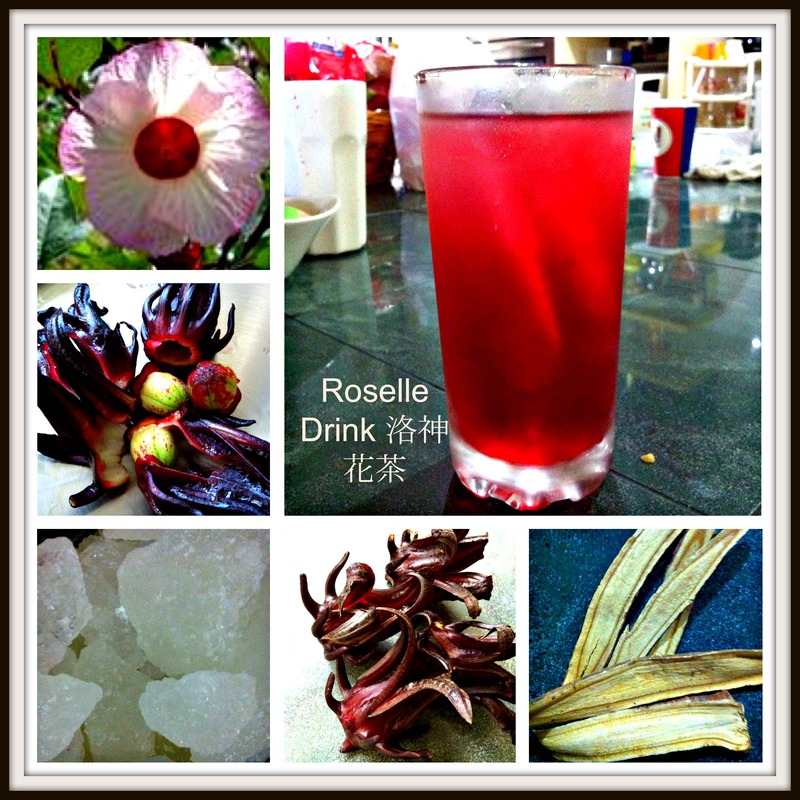 I bought 0.5 kg for SGD2.50 and went back home to cook a large pot of Rosella drink. Rosella is one of the species in the hibiscus family with scientific name Hibiscus sabdariffa. Its common names are Jamaica sorrel, roselle, wild hibiscus, Queensland sour tea, lemon bush etc. In Chinese, it was either called 洛神花 or 玫瑰茄。This annual herb grows to 1.5 m or higher and produces elegant white flowers. Rosella is native to Central and West Africa, but grows throughout in many tropical areas including Malaysia. In 1999, research work in Universiti Kebangsaan Malaysia (UKM) was initiated to study the viability of planting rosella as a commercial crop. 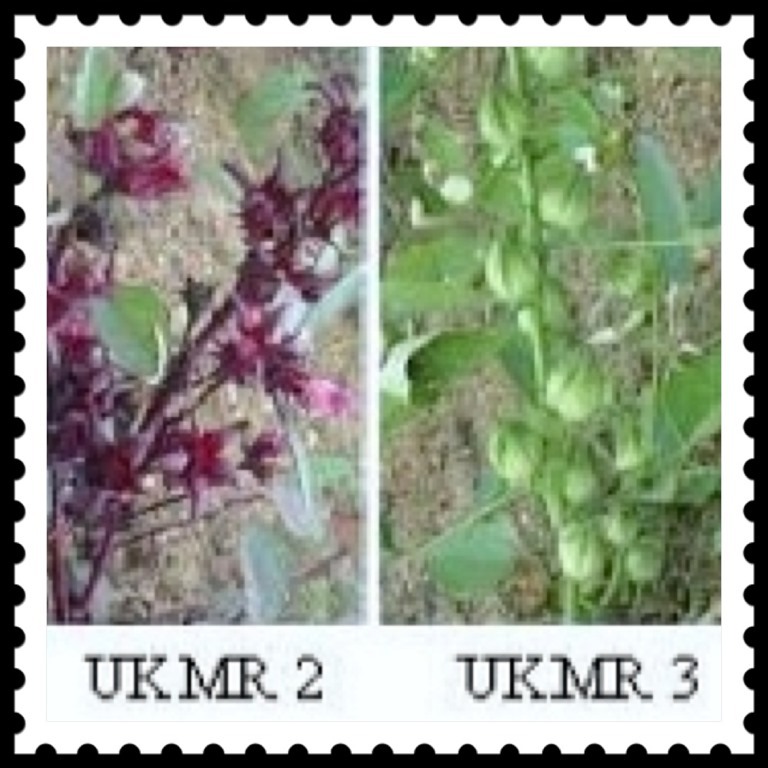 In April 2009, UKM launched three new varieties named UKMR-1, UKMR-2 and UKMR-3, respectively that were developed using a variety “Arab” as the parent in a mutation breeding program started in 2006. (Note: apparently, the Rosella that I bought belong the “Arab” variety). What is edible is not actually the flower’s petals but the calyces and the sepals. It is neither the flower nor the fruit. As these two terms are not common in layman term, I have included a flower anatomy for the reader’s reference. Weight Loss – Rosella contains a substance call amylase which can inhibit the intake of carbohydrates and hence aids in weight loss. Cough and Colds – Rosella like chrysanthemum tea have the cooling effect. Therefore, it is beneficial especially when you have a high fever. Rosella has about 6.7 mg of ascorbic acid, a form of vitamin C that will help to relieve your cold symptoms. In addition, it had a mild anti-inflammatory and mild anti-bacterial properties. Thirst Quencher – Rosella have been recommended to become a substitute for sports energy drinks because of its ability to satiate thirst effectively. Rosella can either be drunk cold or hot and it possesses diuretic properties, meaning assisting the body to excrete excess fluids. Alleviates High Blood Pressure – According to a study published in Phyto-medicine (2004;11:375–82), daily consumption of rosella tea can help to lower high blood pressure (or hypertension). 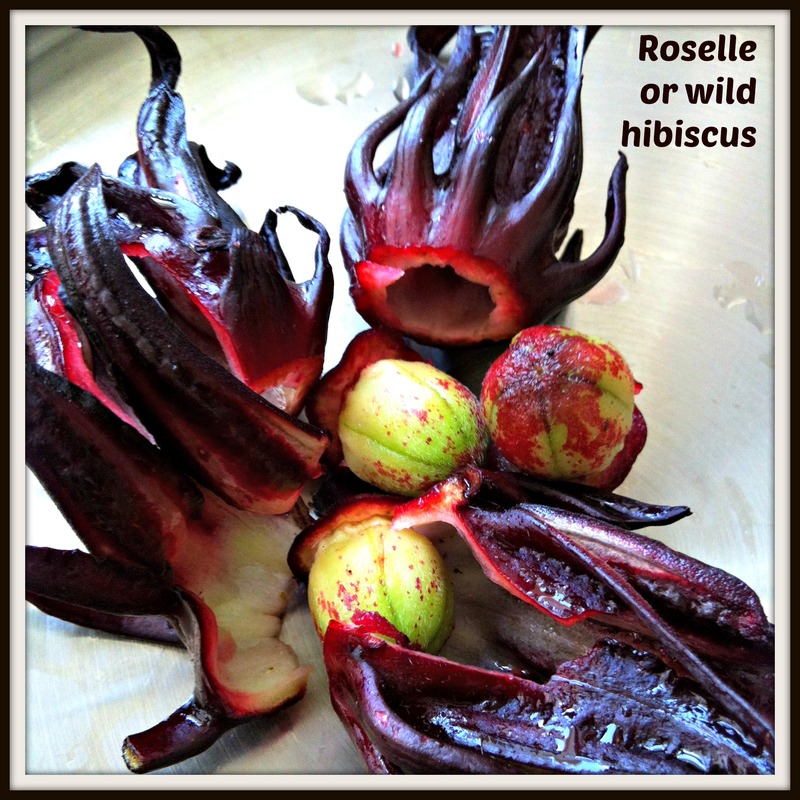 Long term consumption of rosella is believed to have low potential for causing negative side effects make hibiscus an attractive alternative to antihypertensive medications. Nutrition – Rosella is full of nutritional substances that include ascorbic acid, carotene, thiamine, niacin, protein…… It is an extremely good health supplement alternative although it had long been regarded as vegetables in the Burmese and Andhra cuisines. 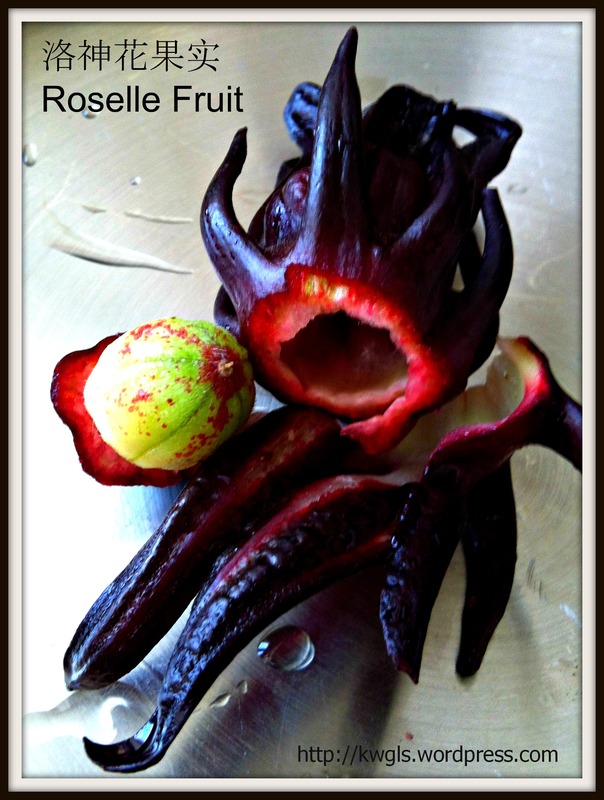 As Rosella is a natural diuretic, people with kidney problems should only drink in moderations. In addition, people who have too much stomach acid or gastric problems such as acid refluxes should also be careful on the amount of intake. It is best to have the drink only after a meal. Fresh rosella (about 250g), white or brown or white granulated sugar (250g), licorice (3-5 long pieces but is optional), water. In the event you do not have the fresh rosella, you can use dried rosella that can be purchased in herbs store or stores that sell flower tea leaves. Wash the fresh rosella and use a knife to cut the base of rosella. You should be able to see a hard rosella seed, pull it out. It is ok if you break the sepals as it will be boiled anyway. Watch out for the juices that was excreted. Don’t let them stain your cloth as it will be very difficult to wash it off. 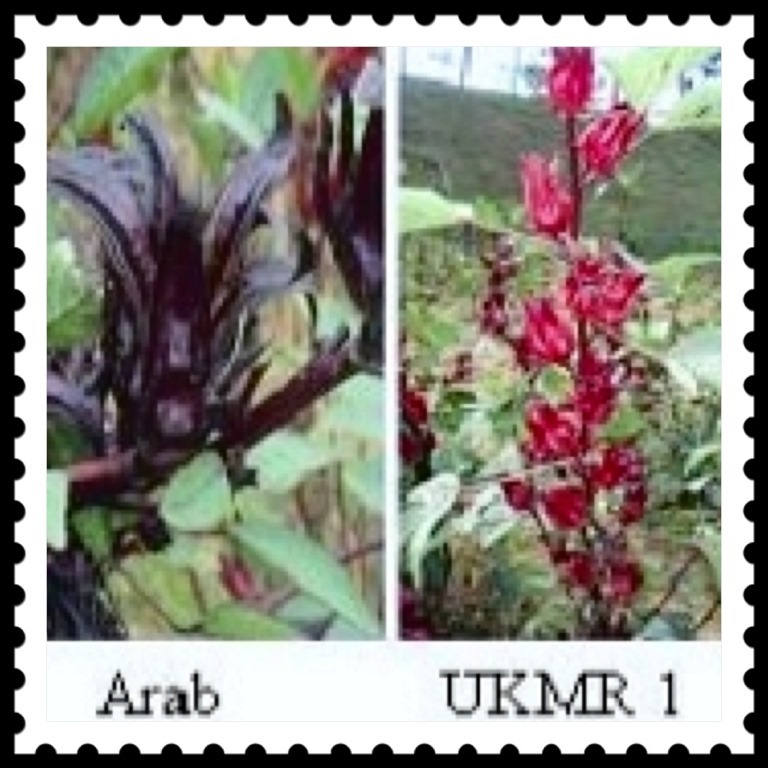 The red calyces have been exported to countries like UK, Germany and USA. The Rosella was extracted for use as red colorings for foods. Boil the rosella together with the licorice (甘草）in a medium to big pot of water for about 20-30 minutes or until the rosella is soft. Note that licorice is added to lower down the acidity of the tea. For those which are not familiar with this drink, you will find that it is extremely sour like freshly squeezed lime juice and adding some pieces of licorice will help to make the drinks more palatable. Add in rock sugar and boiled for another 5 minutes, sieved and serve hot or cold. If you found that the tea is too concentrated, you can keep the concentrated juices and add in water like when you are serving Ribena black currant juices. NOTE: DO NOT THROW AWAY THE SEPALS. The boiled sepals can be eaten like a snack (imagine you are eating some types of preserved plums). I have used the sepals to make some cup cakes and surprisingly, it is not that sour but the incorporation of these cooked sepals help to enhance the texture and color of plain of my steamed cup cakes. You can also add sugar and make it into some jam. 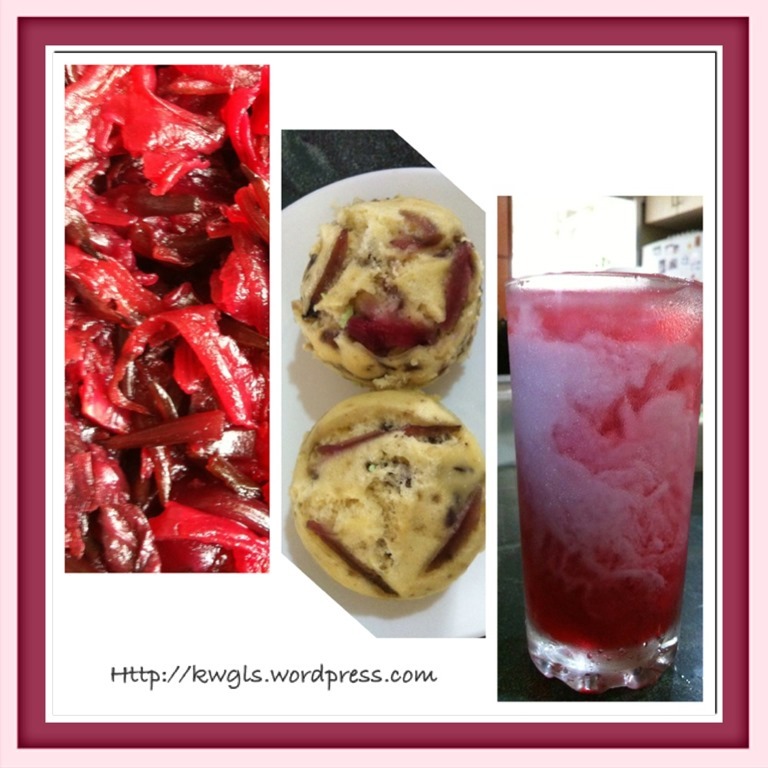 SERVING – Rosella can be served hot or cold. Sometime, I have added condensed milk to the iced tea when I found that it is too sour. However, you can add honey or sugar syrup. The disadvantage of adding condensed milk is it may curdle a bit due to the acidic reaction with milk. VARIATIONS – You can add dried orange or tangerine peel instead of licorice root. Some of the recipes even suggest to add chrysanthemum to the teas. If you are using the dried rosella, use hot water to mix steep for about 10 minutes. 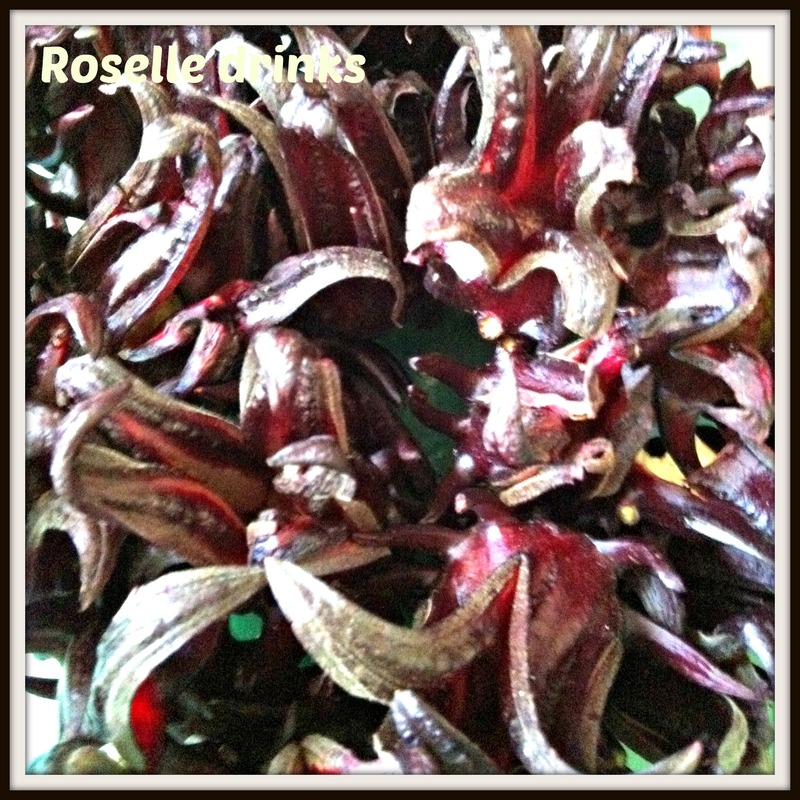 These rosella can also be combined with dried rose (or other dried flowers) in the preparation of flower teas. The benefits of rosella cannot be debated as it will aid in weight loss, helps in the treatment of medium to mild cases of hypertension, alleviates symptoms of flu or cold and a very nutritional plant with low toxicity. However, cautions have to be careful if you have gastrointestinal problems and kidney problems where consumptions have to be moderate and it is better to consult a doctor prior to the long term consumptions of this hibiscus. Lastly, let’s look at what we have on the internet for Rosella related products. Thanks for reading. 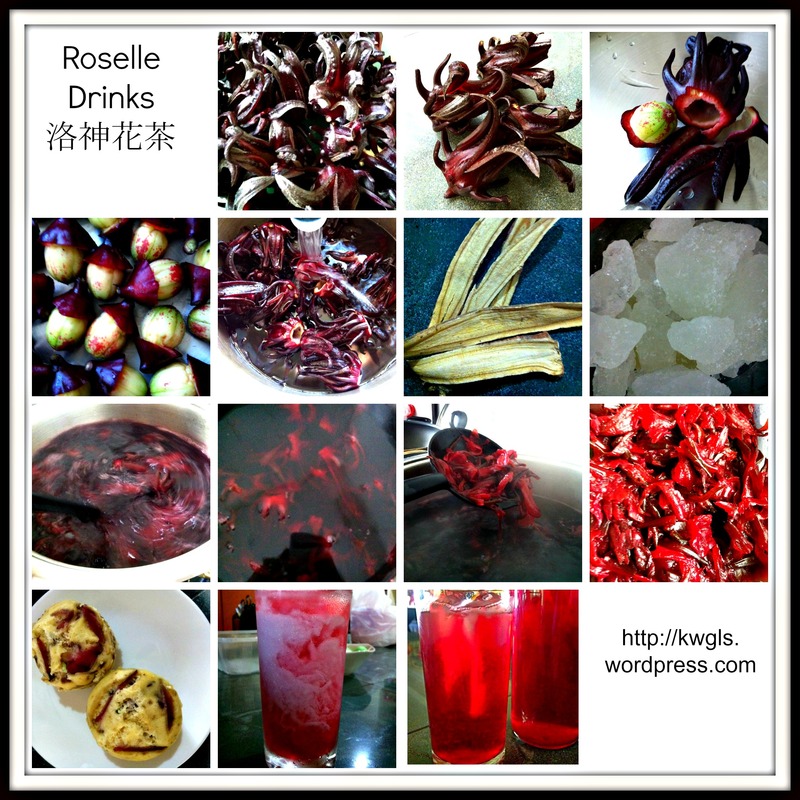 This entry was posted in Drinks, Food Preparation Series and tagged 8, Chinese tea, cold drinks, Drink Preparation Series, GUAI SHU SHU, Guaishushu, hibiscus sabadriffa, kenneth goh, malaysia, rosella tea, roselle, roselle drinks, roselle tea, singapore, thirst quencher. Bookmark the permalink. thanks for sharing, im about to make my own hibicus drink! Happy to hear that. Let me know if it suit your taste bud. Thank for sharing. May I noe where I can get it? Geylang East wet market mean at Geylang Serai wet market? I got mine in Geylang East Wet market. But supplies of wild hibiscus is always not steady. In Mandarin, it is called 可遇不可求. You may want to try the dry flower from the traditional Chinese Medicine shop.. 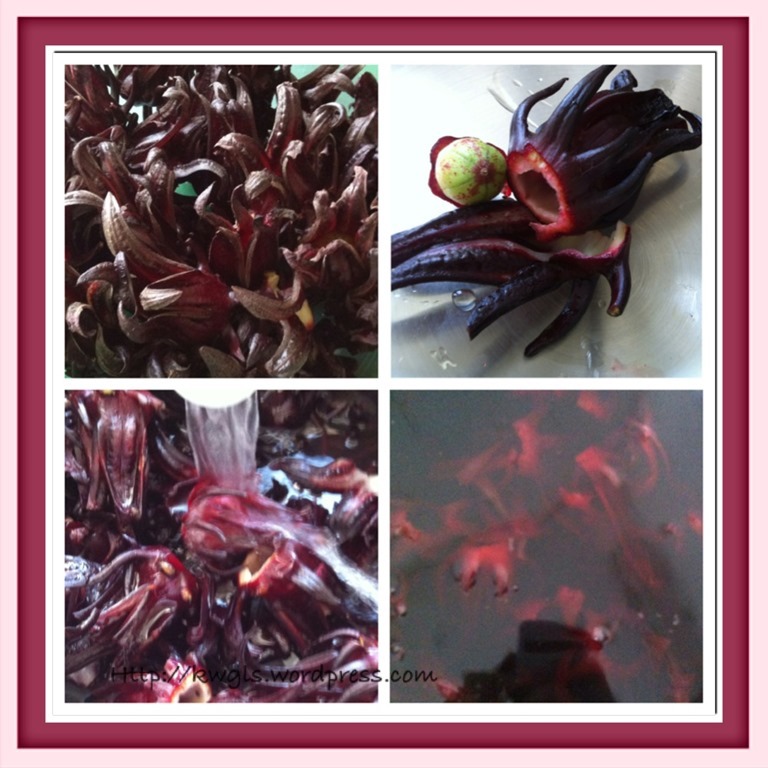 Thanks ken for Sharing, we plant roselle tea ( wild hibiscus ) and produce some products in our locals. We have tea bag, dried hibiscus, and wine,- but we are not exporting yet, hope someday we can.